Wed. March 13, 5:30-7:30 p.m.
Our young professionals series heads to Paddy's Pub for a pre-St. Patrick's night of networking and trivia! 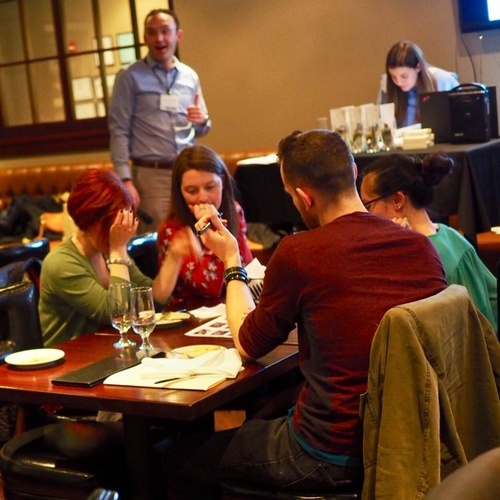 Register as an individual – we’ll pair you with fellow young professionals at the event – and see which team has the winning combination of random facts (there are prizes at stake for first and second place finishers). Plus, nosh on complimentary appetizers from our hosts while unwinding after work with fellow young professionals (ages 21-40) who work or live in the Newton/Needham/Watertown area (cash bar). Prizes at stake from Chilacates at The Street, Bertucci's Needham, Paddy's Pub and Nothing Bundt Cakes.